Welcome to your Poplit Station! Welcome to Your Poplit Station: Using Popular Culture and Media to Enhance Literacy Learning! Media content provided by YouTube.com. Note: it links direct to YouTube.com if you click on the videos. If you do not want students going to YouTube, please monitor usage. 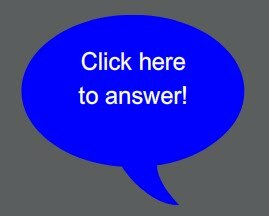 This website & questions created by J. Johnson, teacher. This site is not an endorsement of any content provided herein. It is strictly for educational purposes! NOTE: See Sidebar or Page Tab above for instructions on using the Google Docs portion of this site (which happens when you click 'the answer button'). List some of things in this song that relate to playing baseball. Add your own ideas to the list, too. Using time words (first, next, then) explain how to beat the Level 2 Boss. Describe what happens at the beginning, middle and end of this story. Listen to the music and compare. One is for Mario and Luigi and one is for Bowser. How are they the SAME and how are they DIFFERENT? Think about how the music relates to the characters. This video was made using everyday, household items. List 7 items you see in this video and tell what it was made with. The videos in this site come from YouTube.com. They are embedded from YouTube and thus, if clicked upon, will take users to YouTube. Please monitor student usage carefully, especially if you don't want them going to YouTube! Please visit the sister site: POPLIT LYRICS! Interested in Using The Google Docs portion of Poplit? Clicking on the answer button brings you to a google docs answer sheet. The google docs answer sheet can to be used as a template to guide student responses either orally or in their own writing books. But you can also have students submit their answers online. To access the responses click here or on the page tab above. Please use good judgment when students submit so as to ensure privacy (i.e. : use first names only) as their responses are visible to anyone who clicks on the link. Teachers, while most of this material is considered 'all ages', some of the material & tasks may be better suited for older students (ie: not early primary). Please review the material before using to ensure it is suitable for your students! BetterThanWorksheets Inc.. Simple theme. Powered by Blogger.